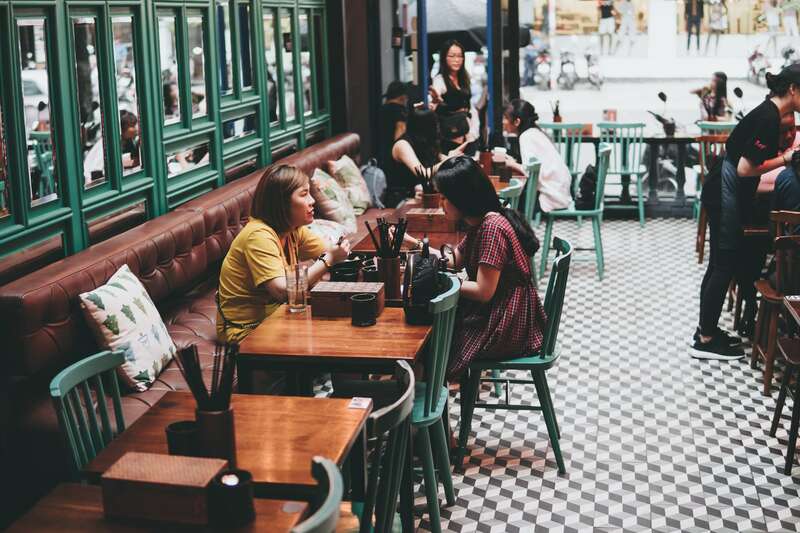 The recent rise of out-of-home-dining throughout Vietnam marks a notable shift in customer preferences. Some of the winners in the new industry include customers themselves, who are enjoying an unprecedented range of choice. 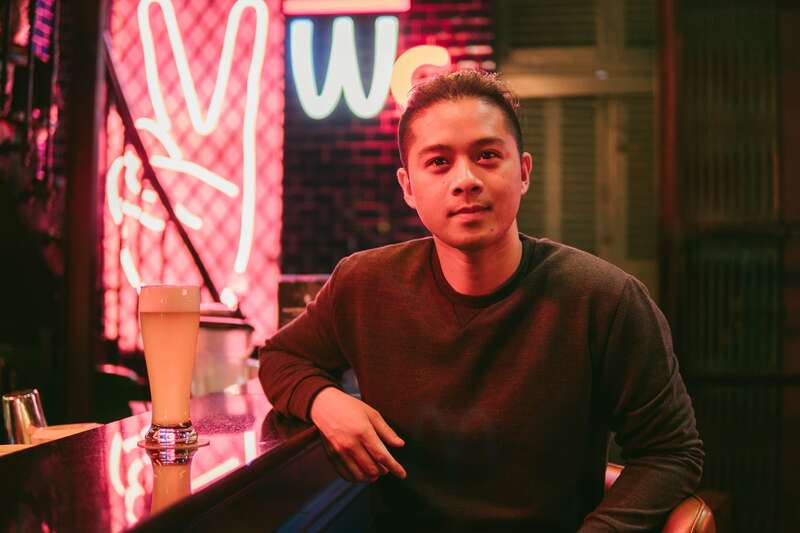 On the venue side, we see niche dining vendors such as those that focus on dairy or health-conscious products emerging and convenience store operators winning the battle for fast food and accessibility. Many of the niche dining vendors are experienced Vietnamese operators, while others import tastes and trends from overseas. 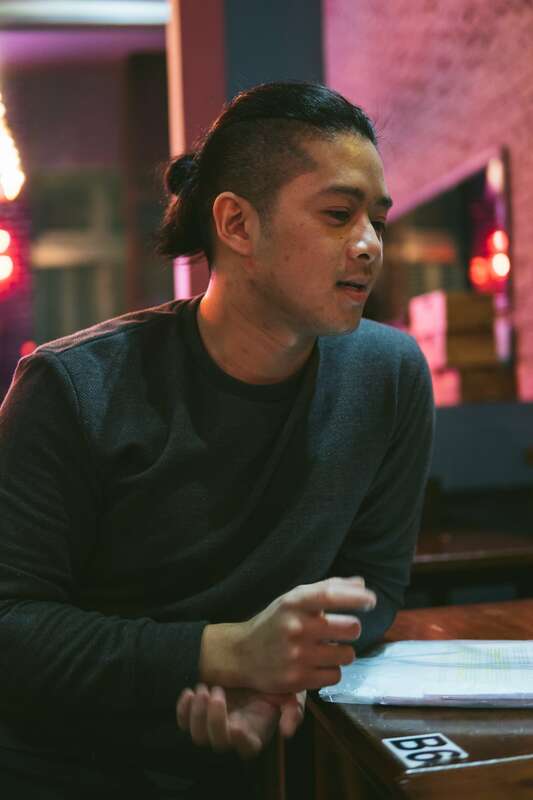 In our search for stories that showcase this market segment, we met with founder Chris Huynh of Baozi. 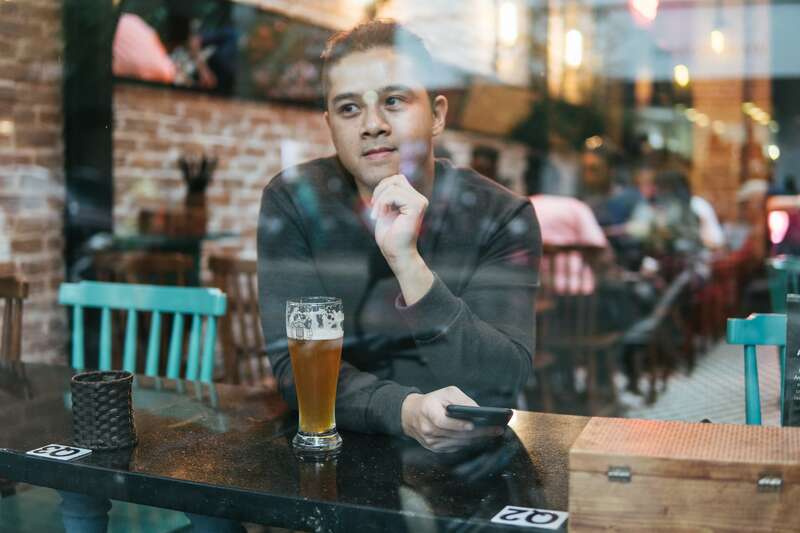 A Vietnamese-British returnee from London, Chris brought his thriving Taiwanese bao concept from London’s Hackney neighborhood to Ho Chi Minh City in mid-2016 and has seen the brand Baozi successfully grow while gaining acclaim, particularly with Vietnamese diners who are often trendy young millennial professionals. Chris Huynh, the founder of Baozi. Tell us about about your decision to move from London to Ho Chi Minh City. What keeps you here? I was born in London but moved to Ho Chi Minh City three years ago at the start of 2016. We had a Baozi in London—a pop up at first. The initial idea was to get away from London for a winter vacation holiday then return. However, I decided to stay here, opening Baozi with my girlfriend. Bao was new in London at the time we started it, and it was a new trend here in Ho Chi Minh City as well. Though we tried to manage both locations at first, we eventually came to focus our efforts entirely on Vietnam. I would say the key differences in environments are that in Ho Chi Minh City, many of our concepts are still new and there’s more room to evolve. We love being part of the transition we’re seeing in today’s market for food and beverage. London has been an international city for a while, but Vietnam is up-and-coming and thus an incredibly exciting place to be right now. This kind of work in London can be raucous and fun, and Vietnam is quickly moving in that direction. We opened our first Ho Chi Minh City location in July 2016, and a second in July 2017. Now we’re focused on building up a stronger back office so we can expand smarter. We hope to open up a new concept restaurant or Baozi location towards the end of this year. Inside Baozi on Hai Ba Trung. What were some challenges of moving Baozi from the UK to Vietnam? Did you bring anything with you when you left for Ho Chi Minh City? We only brought our main recipe book, which, at the time, had five main dishes. The most difficult aspect of moving the Baozi concept from London to Ho Chi Minh City was moving into a new city and establishing a strong work ethic and vision within the new Vietnam-based team. It was also very challenging to manage staff whilst not being able to speak fluent Vietnamese. How do you define what you are doing at Baozi? Where do you see the worlds of Taiwanese and Vietnamese food colliding? The biggest misconception of Baozi is that we are a Taiwanese restaurant. 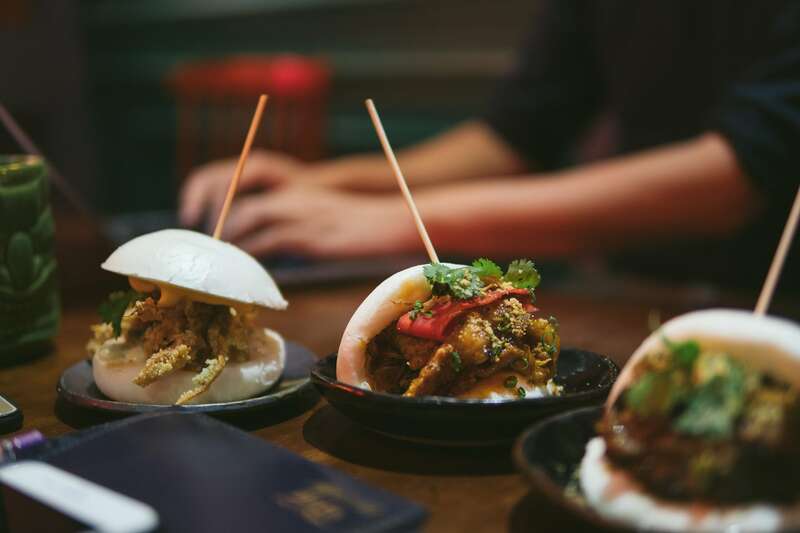 We have a range of Taiwanese foods, many of which are creative takes on the street snacks of Taiwan, most notably the bao. But we also don’t actively market ourselves as a Taiwanese place. We’re more of a modern, fusion restaurant that happens to sell baos. People still come predominantly for the baos, though we have a developed a more diverse menu. We have a central kitchen capable of testing out new dishes all the time. I’m always helping come up with new dishes while the team is capable of rolling out new programs at any time. Baos are the best seller, but Baozi offers much more than the Taiwanese street snack. What aspect of Baozi’s cuisine do you think resonates most with Vietnamese taste buds? If you look at our menu, it’s hard to put our flavor into a single category. We like to say that good food speaks for itself. Vietnamese people are used to eating good food. The only thing that’s changing now is the consumers’ openness to trying new things. If I had to say why we’ve managed to establish a solid brand here, I’d argue it happened because there is no single taste on offer at Baozi. We don’t follow a strict label or flavor composition. It’s just good food. What about Baozi’s culture and ethos has allowed it to grow so quickly? Baozi has seen a lot of natural growth. And a lot of that can be attributed to us breaking normal restaurant traditions in the Vietnamese market. We had no concrete concept to start, and we were mostly self-taught cooks and restaurant managers. There’s a transparent, organic feel to our brand and team culture. We like to think that it doesn’t feel manufactured. Our first pop up location on Tran Dinh Xu in Ho Chi Minh City was a humble spot, featuring a two-meter wide kitchen with photocopied menus. From there, we’ve been able to stay in touch with our humble beginnings while providing customers with excellent food. Chris shares with us the journey he’s made from London to Ho Chi Minh City. On your website, you mention that Baozi’s mission is to serve delicious, affordable food that guests will want to eat week after week. Has your team achieved this mission? For the most part, yes. We’re focused on keeping our standards high so we can continue delivering good food to each and every table. We prioritize the quality of our food over anything else, and that’s why we’ve managed to keep good food on the table despite charging a reasonable, competitive price. What sort of products and businesses would your team expand into next? Right now, we feel we are capable of expanding more. We’re at a stage where we can build additional locations, leaning on the work ethic of our existing team. We have a lot of young customers who come here looking to have this kind of good fun while participating in an upbeat dining experience. In the future, we hope to capture these bar-like vibes and turn them into their own concept. Baozi’s interiors bring back inspiration from the food and beverage scene of Chris’ hometown, London. What are the top five must-try dishes at Baozi? We have slightly different menus between the two current locations. But between the two, I would say the top five include: scotch eggs, ramen, teriyaki ribs, pork belly rice, and the carrot cake. The cake is a great way to finish off a meal at Baozi. That would be our Scotch eggs, or “lòng đào” in Vietnamese. This is a traditional English snack. You can find it everywhere in London. From petrol stations to convenience stores, venues always have it on hand. We serve the dish a la carte, with a runny yolk middle. Customers love it.